Homepage / Hair / Are Hair Dyes Safe? It used to be that hair dyes were used only by people with graying hair. But this is no longer true today. If in the past, only the “oldies” used hair dyes. Today, if you look close enough, youll notice that even the very young has begun using hair dyes – in different colors! Truly, hair coloring has come a long way. And whats more amazing? Today its bleached blond, tomorrow it becomes dark brown, or red, or something else. Some people change their hair color as fast as they change their nail polish. In all these, one critical question pops up: Are hair dyes safe? One group of experts is saying that hair dyes are safe. Who are they? 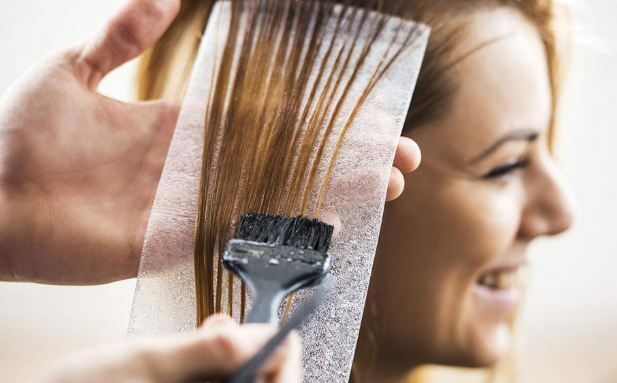 They are the industry players which comprise the companies that manufacture these hair dyes as well as the different associations that use the product in their businesses. This is to be expected because of they, too, claim that they have done extensive research and development just to offer the public safe products. Another group is saying that hair dyes are not safe as they contain cancer causing ingredients. Who are they? These are researchers who did the studies on the products being sold in stores and salons all over the United States and even abroad.One is Mimi C. Yu, Ph.D., professor of preventive medicine at the University of Southern Californias Keck School of Medicine. Dr. Yus team showed that the more hair dye a person uses, the higher that person risk of developing bladder cancer. Dr. Yu and her team are strongly suggesting that more research work should be done for the reason that they are afraid that “we may have a not-so-safe consumer product out there that people are continuously using. So now the question has shifted; consumers are now asking “who is telling the truth?” This is a hard question to answer. The best thing for consumers to do, at this point in time, is to be more cautious in their use of hair dye. For instance, a would-be user can benefit much from asking herself first if she really needs to use hair dye. Is the risk worth taking?For those who use hair dye, here are some safety measures that you can observe when using hair dye. This is very important: do a patch test for allergic reactions before you apply the dye to your hair. To do the patch test, apply a very small amount of hair dye behind your ear and leave it there for two (2) days. In the absence of allergic reaction in the area such as itching, burning, or redness, its okay to use the dye in your hair. If there is an allergic reaction, do not continue. Find another brand and do the patch test again until such time you find one product that you can safely use. When applying the hair dye, always wear your gloves. Read thoroughly and follow carefully the directions found in the hair dye package. Never mix different hair dye products as this may result to chemical reaction or oxidation which may alter the chemical composition of the product and do you more harm. Dont leave the dye on your head any longer than needed.Lastly, rinse your scalp thoroughly with running water after the dye application. Be sure to remove all residues in the hair and in the scalp.